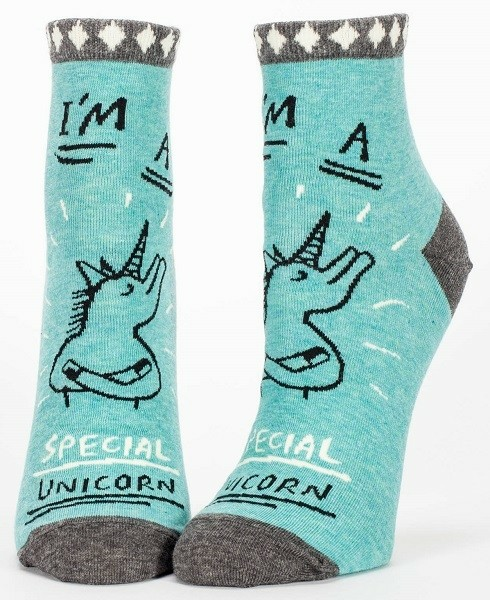 If anyone tells you you're not as important as you think, just ignore them -- you know you're a special unicorn! 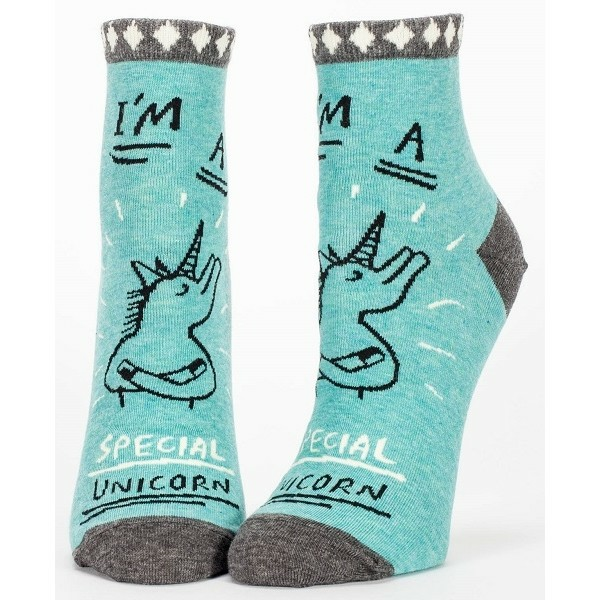 These tongue-in-cheek ankle socks from Blue Q feature a cheeky graphic to go along with your declaration of uniqueness. These cotton/nylon socks come in one size which fits most women's shoe sizes 5 - 10. For more empowering clothing for all ages, visit our Clothing Collection.